For those wanting to go all out celebrating their "little sweet's" birthday! 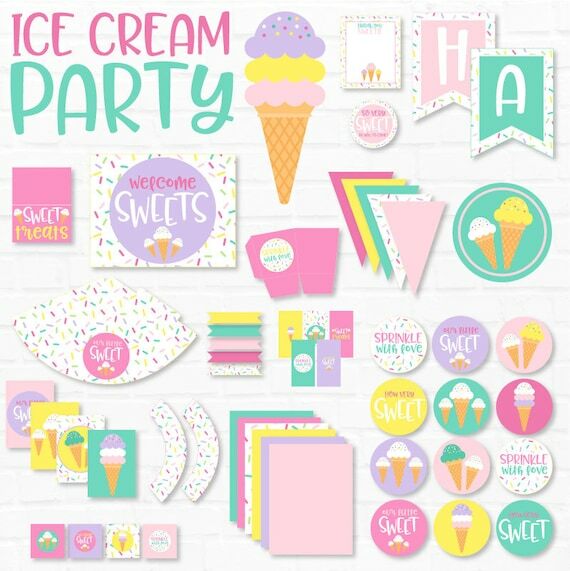 This PRINTABLE (DIY) party can be printed at home or your local print shop. Print, cut and party! It's as easy as that! Your will receive a DIGITAL file that will be sent to the email address connected with your Etsy account. 2. Love The Day will send you the pdf, digital file to your Etsy email address immediately.